One of them [the Pharisees], an expert in the law, tested him with the question: "Teacher, which is the greatest commandment in the Law?" Jesus replied: "'Love the Lord your God with all your heart and with all your soul and with all your mind.' 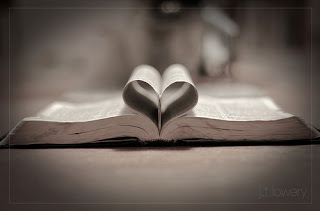 This is the first and greatest commandment" (Matthew 22:35 - 38, NIV). Loving God with all that we are and all that we have is the foundation of the rich Christian life. In this passage, our worship comes as a command, but in reality it should be our chief passion and highest desire. When our love for God becomes all consuming, all other aspects of our lives will fall into their proper place. Our love for others, whether it's our families, friends, neighbors, the poor, or even our enemies will become our second highest priority. If our worship is in line with God's desires, we will also live a generous life. We will understand the joy of giving back to the Lord through our churches and to the poor because we desire to become more like Him. God the Father gave us His Son as the ultimate sacrifice for our salvation. The Son willingly gave His life for us in obedience to the will of His Father. The least we can do is give back to Him, because He first gave everything for us. So, how about you, Christian? How's your worship? Are you spending daily time in the Word and talking to the Lord throughout the day? Are you consistent in your corporate worship each week through your church attendance? Are you giving your time, talent, and money away for the sake of the Kingdom because you love God with everything you've got? Anyway, just thought I'd let you know what helps me.